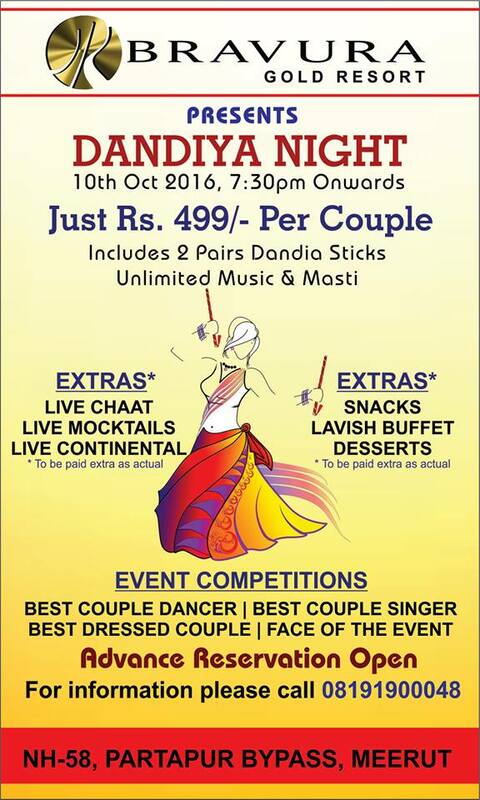 Enjoy Dandiya Night at Bravura Gold Resort on 10th October, 2016 7:30 PM Onwards @ Just Rs. 499/- Per Couple Including 2 Pairs Dandiya Sticks. 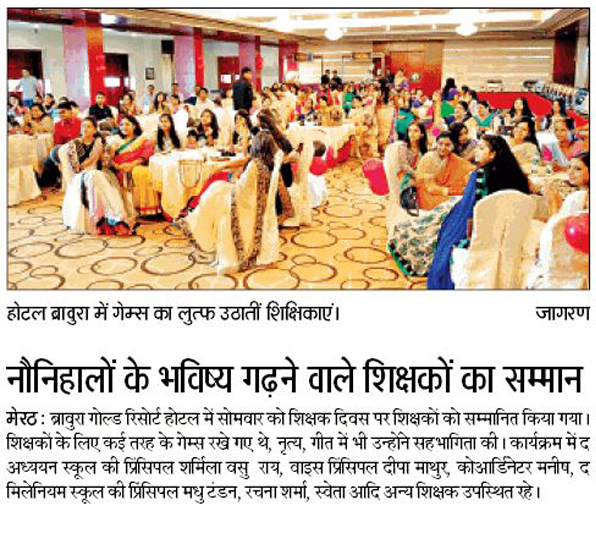 It was an Honour for Bravura Gold Resort to organizing Teacher’s Day Event on 05 Sep, 2016 for Respected Principals & Teachers. Principals & teachers of various Schools participated in this event like The Millennium School Meerut, The Adhyyan School. Let’s see what speaks media (Dainik Jagran Meerut) about this memorable event….